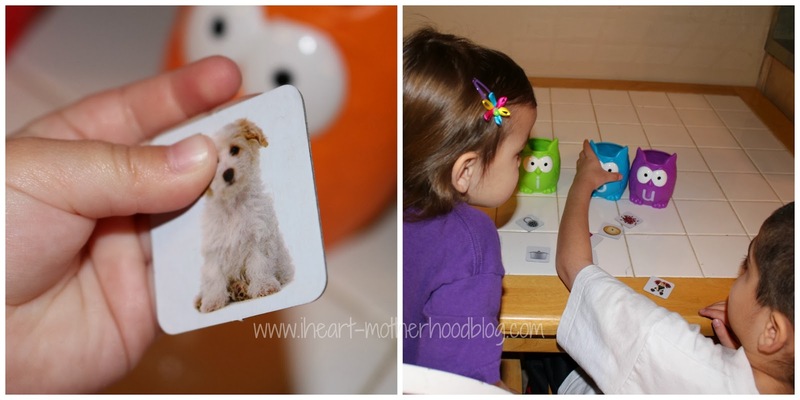 We are always learning in our home & I love introducing my children to new & fun educational games, Learning Resources has a great variety of new products for 2014 & you've probably seen a few here on the blog already! Learning Resources offers educational toys & games for children of all ages, they even cater to teachers & children with special needs. From critical thinking to creative play, Learning Resources has you covered with top rated products at affordable prices! I was sent the Vowel Owls Sorting Set from Learning Resources, it includes 6 colorful owls, 100 picture cards to sort with & an activity guide. This fun sorting game helps students distinguish long from short vowels in single-syllable words using picture cards. Simply sort the cards into the correct colorful owls labeled with the vowels, a-e-i-o-u, there is even a blank owl for "sometimes y". 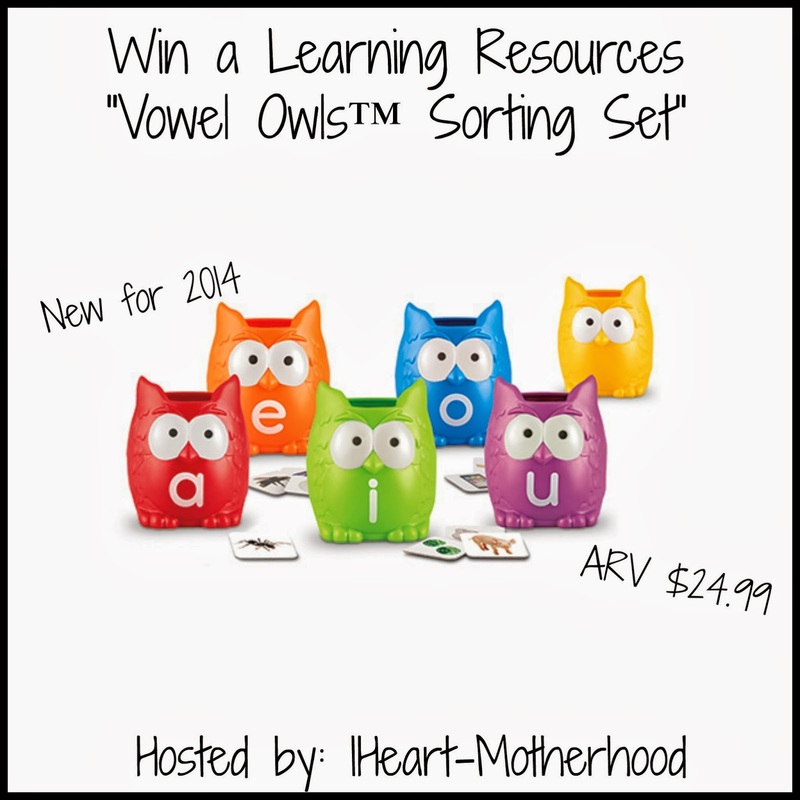 The Vowel Owls set is adorable, the owls are too cute & all of the 100 sorting cards are colorful & engaging for children, this was a great family activity! Have a little one who is ready to learn his/her vowels? Hands down this is the perfect game for beginners! Buy it: Purchase the Vowel Owls online at Learning Resources for $24.99! Win it: One lucky reader will win a Learning Resources Vowel Owls! Use the giveaway tools below to enter, good luck! I love this set- so cute! I would also like the Teaching Cash Register! I LOVE the Snap n Learn® Alphabet Alligators! They are really CUTE!!! what a FUN way to learn the upper & lower case letters! My children would LOVE them!!! i'd love for my daughter to have the "math slam"
I like the Healthy Play Foods set! Thanks for the giveaway! Love all the play food sets. I like so much! Something that stood out was the Healthy Play Foods set! We need some play food so the fruit or veggie basket would be nice to buy. My sons would love all of the Gears, Gears, Gears sets! I like the cupcake sorter.